Ironman success for Bentley Babes! 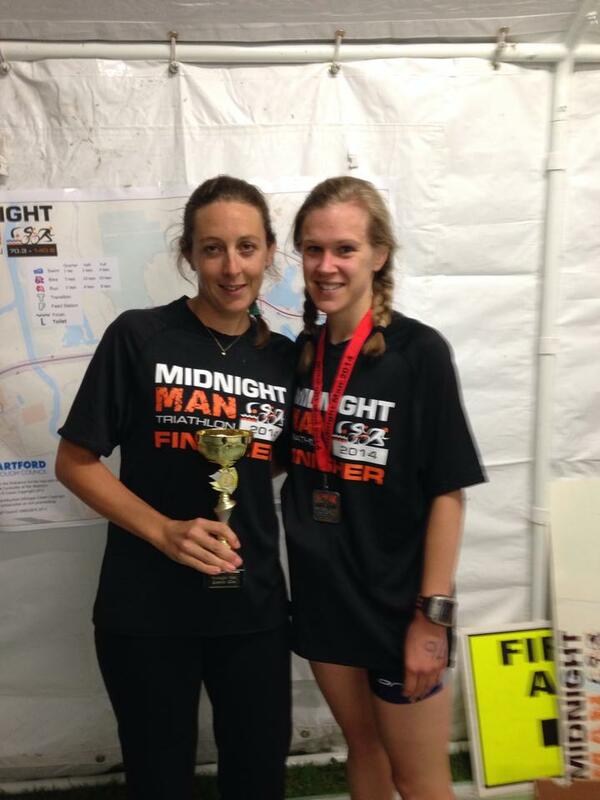 Sam Godden and Anna Mills had great success at the weekend competing in the Midnight Man Ironman at Dartford. The event began at 6pm, meaning that the latter half takes place in the dark. Mills raced the half ironman event; a 1.2 mile swim, 56 mile cycle ride and just under half marathon run. Her total time was 5:44:13, with splits of 39 minutes swim, 3:15 cycle and 1:43 run. She was 6th in her race and 5th in her age group, smashing her previous half ironman times. Godden competed in the quarter ironman event, and was first woman home in 15th place overall. Her event consisted of a 950 metre swim, 28 mile cycle and 6.6 mile run.